I spy with my right eye…a mouthwatering pie! Sunday took me to newest food utopia Mercato Centrale in the Fort Global City. I had planned to make Sunday a sacred time for fasting and giving my body a digestive break. Note to self, do NOT say you’re going to be gentle on your tummy and then tempt yourself by entering a place that has food offerings enough to fill two huge white tents! Well, we all need an outlet don't we? And of course, when I took a look at what was on offer, there was something about the golden crust and cover of these pies that made me imagine they would be buttery and flakey at the same time! 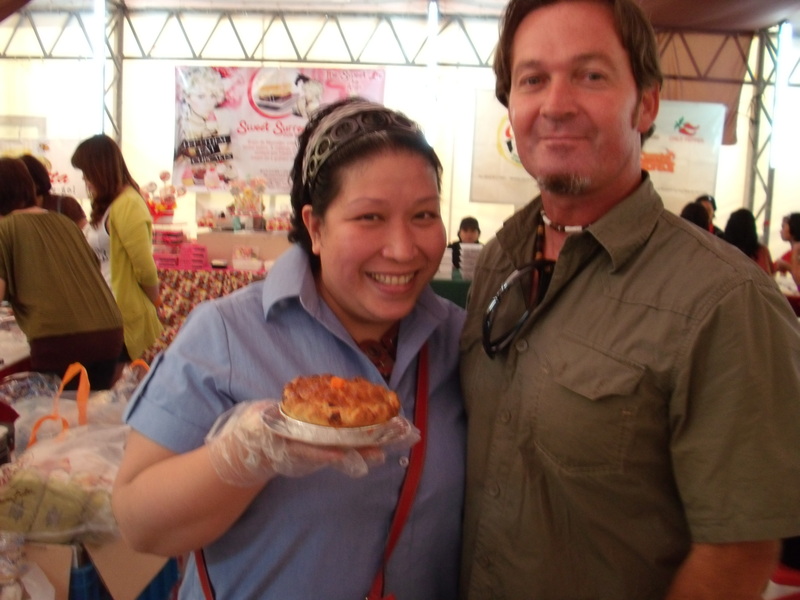 Since we had arrived at Mercato Centrale in time for lunch, she had already run out of her Smoked Salmon pie but Tina and her husband Aaron very generously offered me to sample their next best seller, Cheesesteak! No Sweeney Todd scary here! I bit into the pie, still hot and moist and was immediately grateful that I gave into temptation. 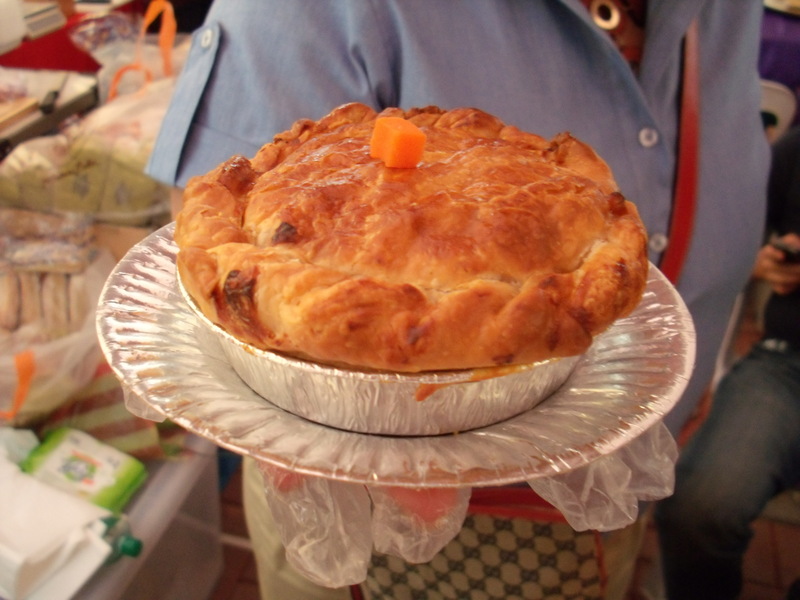 There were other flavors to choose from, like Callos and dessert pies, but I am a beef lover so this pie filled with chunky steak bits and oozing with creamy cheddar cheese was perfect! I’m sure it was about a million calories but its flavor was worth it, not to mention it was so filling that it was good enough to serve as my lunch. This Cheesesteak pie was perfect inside and out! Needless to say this Sunday detox idea was a TOTAL bust. Lesson learned, but it was a delicious one! 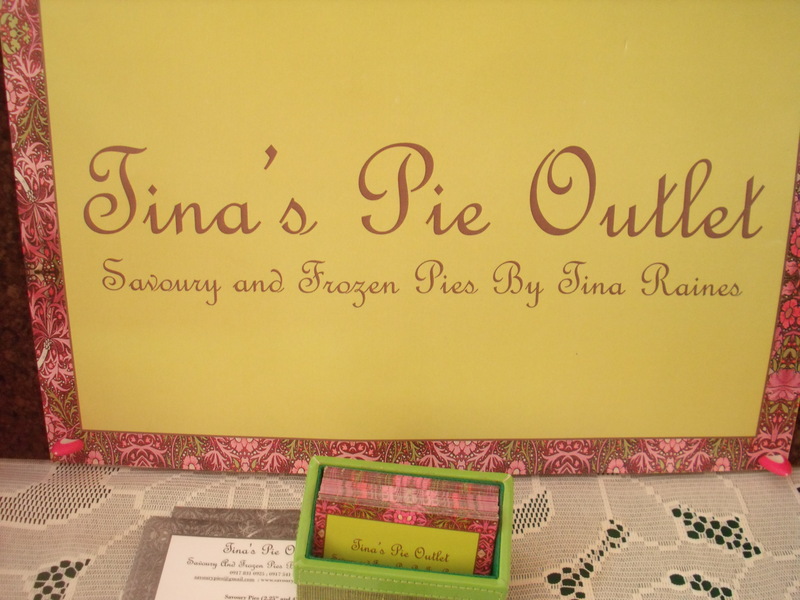 Tina’s Pie Outlet has both savoury and sweet (frozen) dessert pies. Have only tried the Cheesesteak although the Callos seems to be food blogger’s favorite. 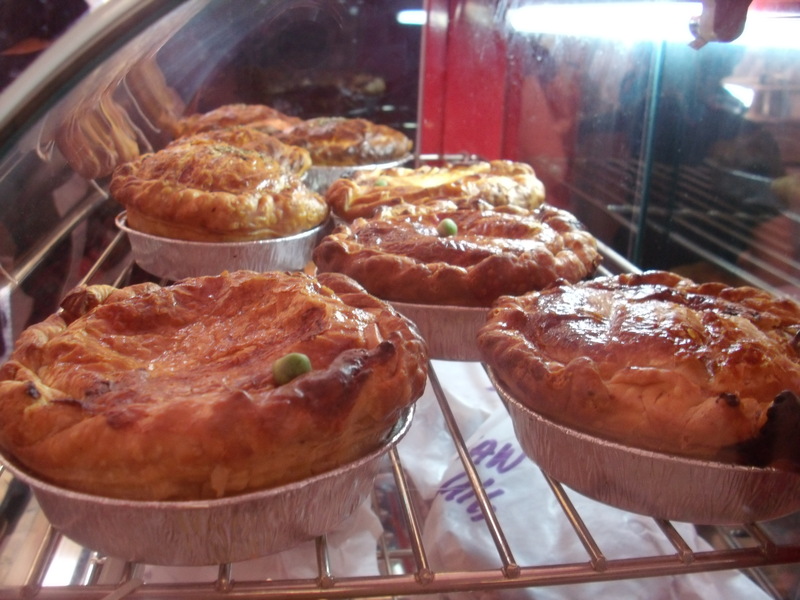 Starting February 3, 2011, we will be selling Smoked Bangus and Prawns, Cheese Steak, Chicken Cordon Bleu and Callos pies every day. Please give us a call to check the availability of the pies as we will be making limited numbers per day. Pick-up is 3 hours upon confirmation of order. Minimum order of 4 pies. For further inquiries, please send us a sms – 0917 831 0925, 0917 541 0925 or 0949 137 4516.
thank you very very much for featuring us 🙂 hope you don’t mind if we post this in our multiply and facebook page. Hi Aaron and Tina thanks so much for letting me indulge last Sunday! It will be the first of many times I will treat myself to one of your pies. Yes, please feel free to repost!